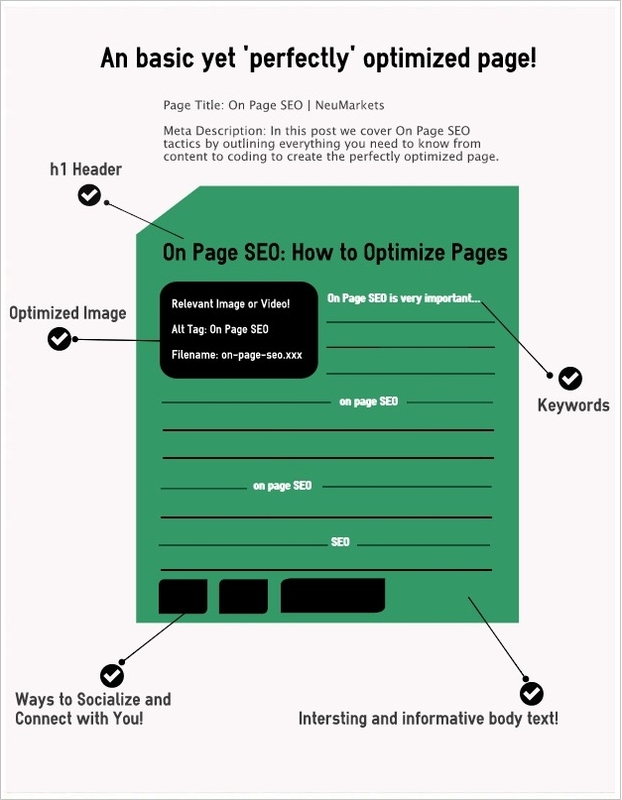 How to do on page SEO is a commonly asked question for people wanting to get more website traffic. Getting a website to ranking in Google is a matter of two components; on page SEO and off-page SEO. On-page SEO involves optimising the code of a website to make it easier for search engine bots to read and understand your website content. Some factors of on page SEO are more important that other. 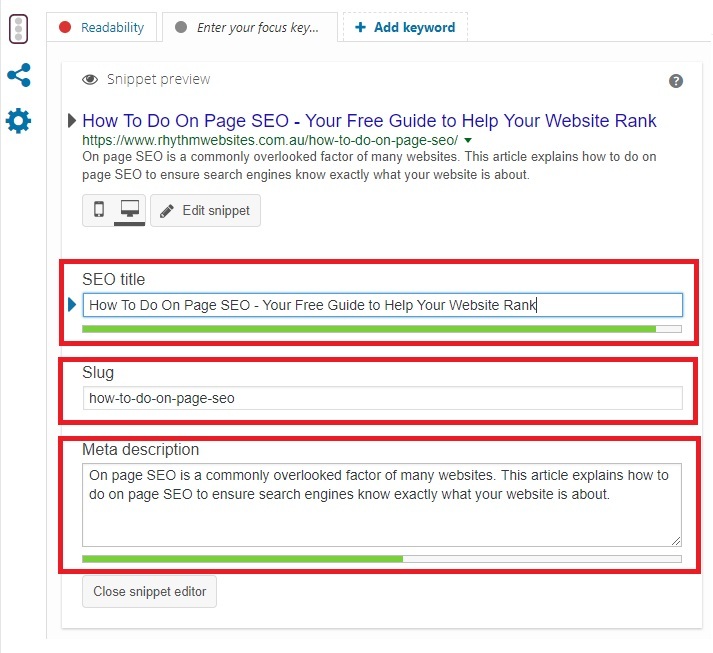 This article is going to teach you how to do on page SEO, for the most important factors, down to the critical tweaks to get a competitive advantage. This article is written from the perspective of creating web pages and content that is suitable for both your audience and search engines. If you blog because it is a hobby, this article might not be suitable for you as it might require you to alter content to content target keywords. Before you begin working on your on page SEO you will have to make sure your site is being crawled by search engine bots. On WordPress, you can easily check if your website is accessible to search engine crawlers by clicking on Settings > Reading then ensuring the ‘Discourage search engines from indexing this site’ is unchecked. Your target keyword will need to be included in your written content a certain number of times to help your SEO. It is recommended that your target keywords make up between 0.5 – 2% of your written content. Anything outside this range will negatively impact your SEO. Your keywords will need to be included in the content in a natural manner. Google can pick up if you repeat a keyword or try and cloak it (having a keyword in the same colour as the webpage background so it is not visible). Google has become better at understanding website content, so your exact keyword phrase doesn’t have to be stated. For example, the target keyword ‘how to do on page SEO’ could be stated as ‘how to perform on page SEO’ and Google will still acknowledge it as the same keyword. Lastly, the length of your written content matters. Your articles should be a minimum of 300 words. The optimum article length in our opinion though is between 600 – 1,000 words. When producing website content make sure it is as natural as possible and don’t try and pad it out. It is important to include at least one image on every page. Considering web crawls cant actually see website images, we need to take measures to help them understand what the image is displaying. It is important to include your keyword in the name of the image as well as the alt tag. 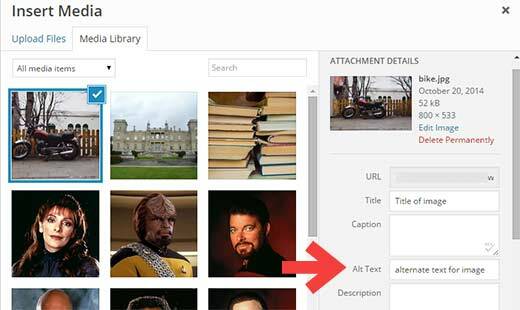 If you use WordPress, you can do it as follows. As this SEO step by step guide is written for WordPress users, we will be using SEO Yoast to assist with on page SEO. In this step we will be changing the SEO title, slug and meta description to contain the focus keywords. It’s best to have the focus keyword at the beginning of the SEO title followed by a short description. You want to keep in mind the click-through-rate when choosing a title, so be sure to give it one that grabs your audience’s attention. Never put all the words in capital letters. With Yoast SEO you can change how the search engines sees the URL, change this to include your focus keywords. The meta description must also contain the keywords. Just like the SEO title be sure to include a description that is likely to get people to click on your website. Search algorithms develop a better understanding of what your page is about by analysis the hyperlinks that are on your page. To help Google and other search engines figure out what your website is about, it is important to include hyperlinks to both pages on your website and other websites that are like yours.